Jess is an automated Western blotting system for chemiluminescent immunodetection, two-color fluorescence (for multiplexing), protein normalization, and even traditional chemiluminescent Western blots. Simply load your sample, antibodies, and reagents into the plate, insert your plate and cartridge into Jess, and press start. All assay steps from protein separation, immunoprobing, detection and analysis of data are fully automated. With just 30 minutes of experimental setup and 3 hours of hands-free runtime, you can be analyzing data for your next publication or grant. 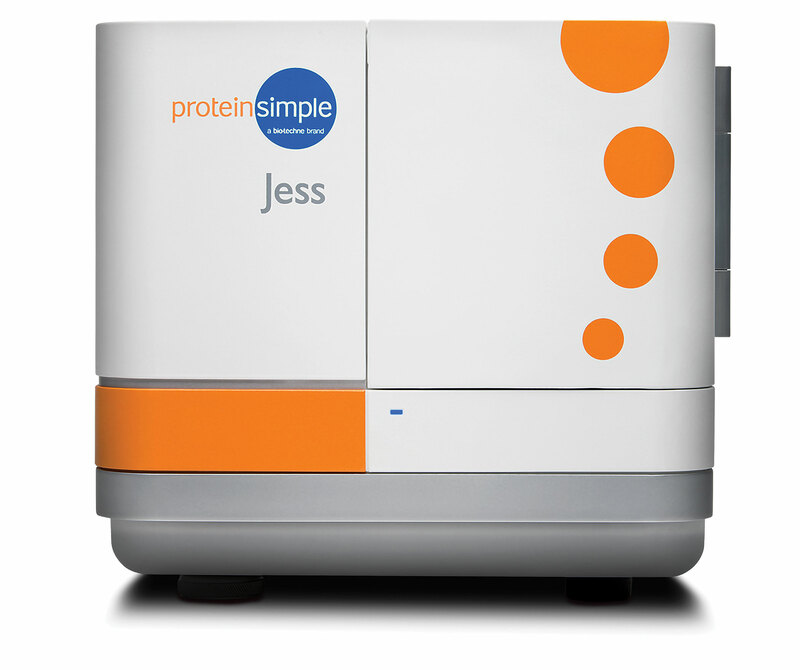 Jess can dramatically increase your throughput by automating the protein separation and immunodetection of traditional Western blotting. Everything happens inside a capillary, and Jess precisely controls the protein separation and reagent additions and incubations, even the detection. Use Jess’ fluorescent capabilities and multiplex your proteins for even higher throughput. With her 13- and 25-sample capillary cartridges, you’ll get the throughput you need, with minimum hands-on time.